Over a decade ago, cognitive scientists John D. Bransford and Daniel J. Schwartz asked fifth graders and college students to create a recovery plan to protect bald eagles from extinction. Surprisingly, the two groups came up with plans of similar quality (although the college students had better spelling skills). But the researchers decided to delve deeper. They asked both groups to generate questions about important issues needed to create recovery plans. On this task, they found big differences. College students focused on critical issues of interdependence between eagles and their habitats (“What type of eco-system supports eagles?” and “What different kinds of specialists are needed for different recovery areas?”). Fifth graders tended to focus on features of individual eagles (“How big are they?” and “What do they eat?”). The college students had cultivated the ability to ask questions, the cornerstone of critical thinking. They had learned how to learn. Yet formal education, which is driven by test taking, is increasingly failing to require students to ask the kind of questions that build critical thinking skills. Dan Rothstein, cofounder of the Right Question Institute, a Cambridge-based nonprofit that promotes good question-asking as a life skill, agrees. He believes that learning how to ask questions should be considered as critical as learning how to read, write, and do basic math. So far there’s no field of “question studies,” but Rothstein and his co-director at the Right Question Institute, Luz Santana, are among a handful of thinkers making a career of taking a close look at how questions work, what our brains are doing when they put a question together, and how questions could drive learning, child development, innovation, business strategy, and creativity. Rothestein and his colleagues are trying to tell us something very important: In the 21st century, we can no longer afford to ignore the strategies that promote critical thinking and problem solving skills. It’s time for a thorough examination of what makes a good question, and how students can benefit from staying curious. These are designed to elicit learners’ prior knowledge and to check comprehension. They often focus on the form or meaning of language structures and items, and the teacher already knows the answer. When do we use …..? What’s the opposite of …..? Where’s the stress in …..? These require the learner to provide information, give an opinion, explain or clarify. They often focus on content rather than language, require ‘follow-up’ or ‘probe’ questions, and the answer is not necessarily known by the teacher. What do you think about …..? These are ideal for developing skills such as inferring, predicting, verifying and summarising, as well as eliciting more language. Open-ended questions that probe and elicit expanded thinking and processing of information are useful for involving students in deeper learning. Divergent questions have multiple possible answers and encourage students to be creative or express insight. If working in groups, students have the opportunity to learn from a variety of perspectives. These have more narrowly defined correct answers which can be recalled from memory and require little reflection or originality. Closed questions are common in conventional tests. Closed-ended questions such as those requiring a Yes/No response, or one answer from a few possible options (multiple choice) may be useful for quickly checking comprehension. Convergent questions have one acceptable right answer; students are required to regurgitate a certain response based on conventional wisdom. These have no right or wrong answer. Examples include asking for students’ opinions about something, or simply asking what comes into their heads when you introduce an idea or concept. These types of questions are most effective in initiating discussion. Engage students to keep their attention and to reinforce their participation. Provide a way to review, restate, emphasise, and/or summarise what is important. Be used to stimulate discussion and creative and critical thinking. Determine how students are thinking. Help students retain material by putting into words otherwise unarticulated thoughts. Reveal gaps or misconceptions in knowledge. The purposes of questions vary at different stages during a lesson. “During the lead-in to a lesson,” says Steve Darn, educator at the Izmir University of Economics, Turkey, “referential questions often form the basis for brainstorming a topic, generating interest, and introducing topic-related vocabulary.” Students’ responses may be recorded as a mind-map on the board, or in the form of a “what we know / what we would like to know/ what we know now” framework to get creative juices flowing. During discussion, questions focusing on form, function, meaning, concept, and strategies may all be termed “guidance questions,” and differ from comprehension questions in that learners are not necessarily required to provide correct answers. “The overall aim of these questions is to gradually raise awareness of language and skills and to help learners develop strategies for learning in a focused way,” Darn says. According to the Cornell University Center for Teaching Excellence, effective questions are meaningful and understandable to students. Depending on the level of comprehension of a topic, students may be able to handle questions of various levels of difficultly. Effective questions challenge students but are not too difficult. Students benefit from answering easier questions before difficult ones. “Does everyone understand?” “Any other questions?” Most students will not reply, and even if they do, their answer is only a report of their own assessment of their comprehension. Too general. “Does everyone understand?” “Any other questions?” Most students will not reply, and even if they do, their answer is only a report of their own assessment of their comprehension. Too closed. Yes/No questions or other closed-ended questions can be useful for drawing on previous knowledge to get started on a new topic, but are dead ends for discussions and deeper engagement. Determine the key concept you want students to learn. Refer to Bloom’s Taxonomy to review levels of learning. When planning for a course, develop question strategies. Examples include an explanation strategy that asks students to explain the cause of an event or why a given situation or condition has arisen. Another strategy is an analytical question that asks students to compare and contrast situations, cases, ideas, people, or objects. Determine the objectives or learning outcomes for the course. What do you want students to know or be able to do as a result of participating in your course? For each learning outcome, create one or two key questions designed to provide students with the opportunity to demonstrate attainment of the learning outcome. Working backwards, think of one or two questions that, when answered, lead up to the first key question you designed, and so on. Prepare to start your discussion with the last questions you created and work your way toward the key questions that address the course learning outcomes. Use Bloom’s Taxonomy to guide your question design. Doing so will ensure that you appropriately scaffold questions starting with basic knowledge (remembering facts) to more advanced skills such as analysing or evaluating. Ask short recitation questions to quickly gauge whether or not there are misconceptions and address them appropriately. Once all students are on the same level, pose more advanced questions. Follow the taxonomy with flexibility. Some questions may involve multiple cognitive skill levels. Minimise the use of “yes / no” questions except when checking meaning and understanding or encouraging weaker students. 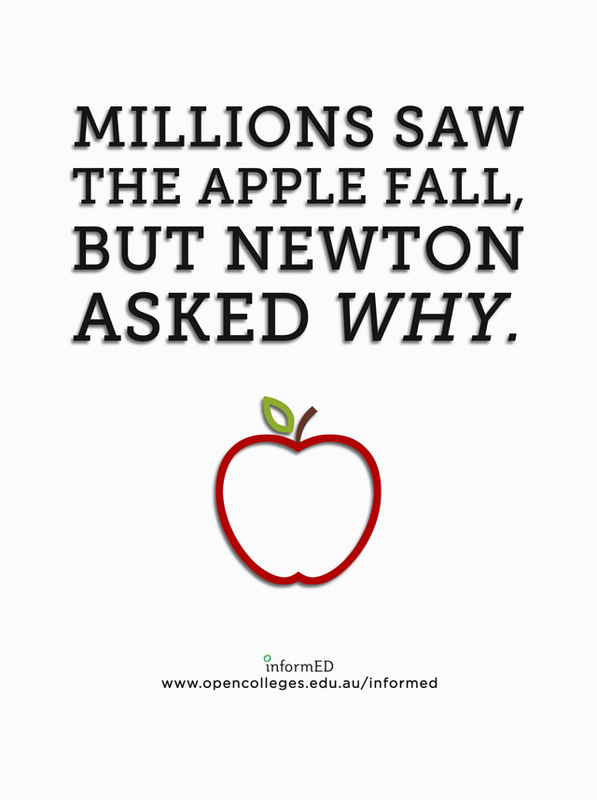 Use open-ended (divergent) questions to encourage opinions, elaboration, and discussion. Give appropriate responses to questions, particularly where correction is required, and in order to extend the dialogue. What is the difference between analysing and assessing? How does this tie in with what we learned before? How do you know when you’re right about something? How would your answer be different if…? What is the counterargument for that? What does it take to master a subject? When did you last come across something that changed the way you think? What are some possible implications of this? How would you summarise this? What prompted you to ask that question? What evidence from the text supports that claim? What evidence from real life supports that claim? What is the difference between this concept and that concept? What’s the reasoning behind your answer? How important is it to be right all the time? Is failure a bad thing or a good thing? What makes someone a good learner? What is the difference between knowledge and intelligence? Do you think some people are born talented? How would you use this concept in real life? What is the most important part of learning? Do you really know something if you can’t remember it? How does this concept tie into other subjects you’ve studied? Are all smart people good test takers? What’s the difference between meeting and exceeding expectations? What is the relationship between critical thinking and problem solving? “English and all other natural languages have a rich vocabulary of thinking consider terms like hypothesis, reason, evidence, possibility, imagination, perspective and routine use of such words in a natural intuitive way helps students catch on to the nuances of thinking and thoughtfulness that such terms represent,” says David Perkins, senior professor of education at the Harvard Graduate School of Education. An awesome resource to help students develop deeper thinking and questioning skills. Thanks for the inspiring socratic insights into questioning… ! Need help with the right questions to ask my son, so he hopefully complete his thesis.